Bulkhead doors and cellar doors are entrances to a home’s basement from the outside. Explore the process of installation and learn about what it can cost if you replace or install a new bulkhead door. How Much Does It Cost to Install a Bulkhead Door? If you’re thinking of replacing an existing bulkhead door or adding on a new one, you might be surprised at the range of costs and estimates you get. Try to look at things from apples to apple point of view and know what contractor estimates include. Read more about the installation costs below. 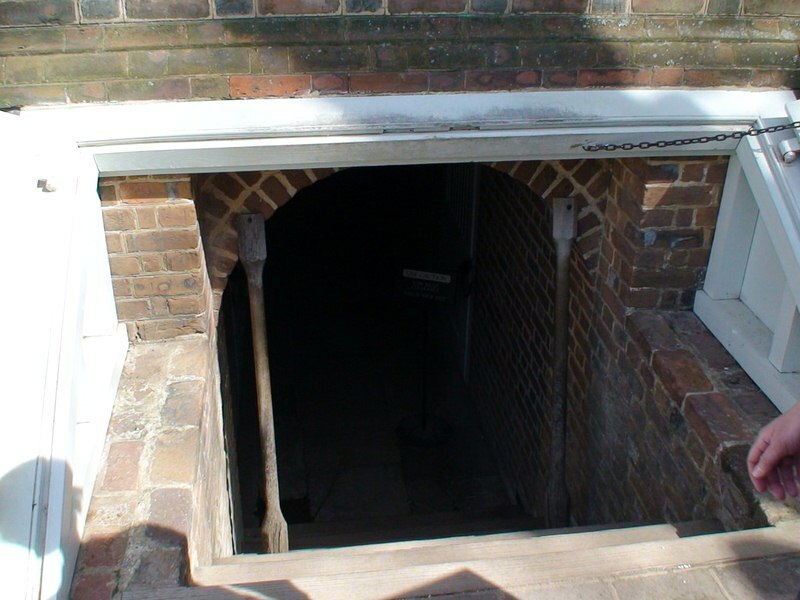 They were the first way to get into the cellar and continue to be an option on both new and older homes. Older homes may need new bulkhead doors to replace older ones, and some new homes are still built this way. In new homes, it’s more common these days to install an indoor stairway in addition to a bulkhead door rather than provide access only from the outside. The cost to install a new bulkhead door varies widely depending on the installation type: replacement of an existing bulkhead door or installation of a new one where none existed before. There’s a lot of work involved and you’re probably looking at hiring several different contractors. You can do the work yourself — if you’re physically capable, have the time and the knowledge and the local code authority gives you a permit. An excavation on the outside of the basement wall is made and the bulkhead installed. This might be a set of precast concrete stairs with sides or in some cases concrete forms are built for the wall and stairs. You can also pour a footing at the bottom and build the walls with cement blocks. It is important to install the bulkhead right. It has to be sealed to the existing walls to keep out water and in some cases, you’ll need a drain that connects to your foundation drainage and sump pit. After the excavation, cutting the concrete and installing the bulkhead, the last step is the installation of the doors. Old doors were usually made of wood, with better models using steel. New bulkhead doors are rarely made out of wood because of its susceptibility to rot. Models made out of fiberglass, plastic, and steel are available from various manufacturers. Costs depend on the contractor, the equipment required and how accessible the location is to the equipment. With a standard excavating machine the job will take 3-4 hours and cost 400 to 1,000 dollars. Ask the excavator to dig the hole an extra 15 to 20 inches deep and the concrete cutter can push the slab right into the extra hole and save you the cost of having it broken up and hauled away. Costs will vary by the contractor, but for most entryways, you are looking at around 500 dollars. Breaking the concrete up costs 100 to 200 dollars more and if they haul it away, expect to pay another 100 to 200 dollars. Offering the excavator an extra 50 or 100 dollars to “dig a grave” for the concrete slab is usually well worth the money. Depending on your choices, a new, precast bulkhead with stairs will run 1000 to 1500 dollars in most cases including installation. More heavy equipment is involved in this part of the project. If you’re willing to do the work or hire a mason, you can cut the cost in half by building the bulkhead out of concrete blocks and pouring concrete steps. Door prices range from 600 to 2000 dollars or more depending on manufacturer, model, and accessories. Add another 40 percent onto the door cost for installation if you won’t be doing it yourself. The main concern with replacing existing bulkhead doors is the condition of the bulkhead. If it’s crumbling and falling apart, it should be replaced and then you’re looking at the cost of excavation and a new bulkhead installation. Expect about the same cost as installing a new bulkhead and door minus the concrete cutting cost. If the bulkhead is in good shape, you can just replace the doors. Plan on 600 to 2000 dollars depending on what you buy, and then tack on 40 to 45 percent for removal of the old doors and installation of the new ones. New bulkhead doors are not cheap, but they offer superior protection from the elements over the doors of yesterday. By choosing carefully between contractors, getting your estimates in writing and only purchasing what you really need, you can control the cost to install bulkhead doors.